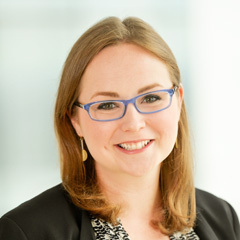 Ms MaryKate Bullen is part of New Forests’ investor services team and leads the company’s sustainability and corporate communications programs. New Forests is an Australia-based fund manager offering institutional investment strategies in forestry, land management, and conservation. Bullen is responsible for strategic planning and implementation of the company’s corporate sustainability and responsible investment initiatives, as well as oversight of its Social and Environmental Management System. She also leads corporate communications and media relations across New Forests globally. She joined New Forests in 2008, originally in the company’s advisory services team, and also previously developed and managed New Forests’ corporate research program, producing policy analyses and market outlooks on key features of the timberland and environmental markets asset classes. She has a bachelor’s degree in Anthropological Sciences (Honors) with a specialization in Population and Environment and a Master of the Arts in Latin American Studies from Stanford University.